RRC Hubli Group D Jobs Recruitment Notification Details - RRC Railway Recruitment Cell , SWR South Western Railway Hubli is released Recruitment Notification Group D Jobs " RRC Hubli Group D Recruitment " and invited Applications for this Recruitment from interested and eligible candidates. This Group D Jobs Notification published at RRC Hubli Jobs official website www.swr.indianrailways.gov.in, Railway Recruitment Cell is released various RRC Hubli jobs under Group D like Track man, Helper, Porter, Hamal, Sweeper, Safailwala etc. The Interested Candidates are fallow the Recruitment Jobs of RRC Hubli Official website www..swr.indianrailways.gov.in and Download Group D Application form . The RRC Hubli Group D Jobs Recruitment Notification Deatils are given below. Candidates are checked your eligibility and qualification after there applied for this Group D Jobs Recruitment Notification. RRC Hubli Application Form link is given below. Qualification :- Candidates are passed Minimum 10th Class/SSC/SSCL or ITI any equivalent from any recognized University or Board. Salary :- 5200 - 20200/- and Grade Pay 1800/- to be paid to selected Candidates. 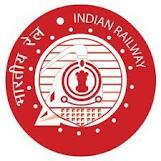 How to apply :- The Interested and eligible Candidates are fallow the www.swr.indianrailways.gov.in and download RRC Hubli Group D Jobs Recruitment Link The Link address is given below. that Application form duly filled and attached all documents and send to RRC Hubli Address. Selection Process :- RRC Hubli authority is conducted written Test Exam and Physical Test on concerned RRC SWR Hubli for this Group D Jobs Recruitment.